Slash your way to the top in For Honor! Enter a full-blown, bloody, and overall brutal faction war between vikings, knights, and samurais. 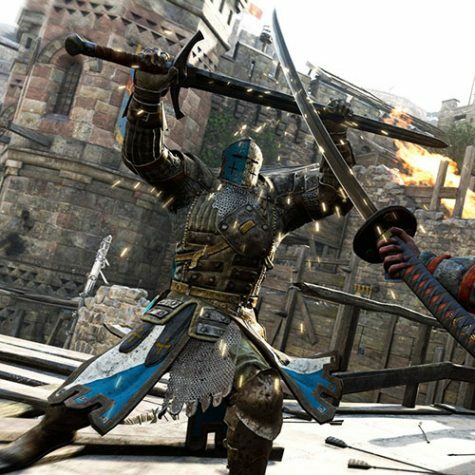 These three warrior factions fight to the death in a variety of game modes such as dominion, brawl and elimination. For Honor features 12 diverse characters, each from a different faction, that all have unique fighting techniques and executions. They come in all different shapes and sizes, but bring equal might and fury to the battle. Three basic warriors from each faction are Warden, Raider, and Kensai. Warden is from the knights faction, Raider from the viking faction, and Kensai is from the Samurai faction. 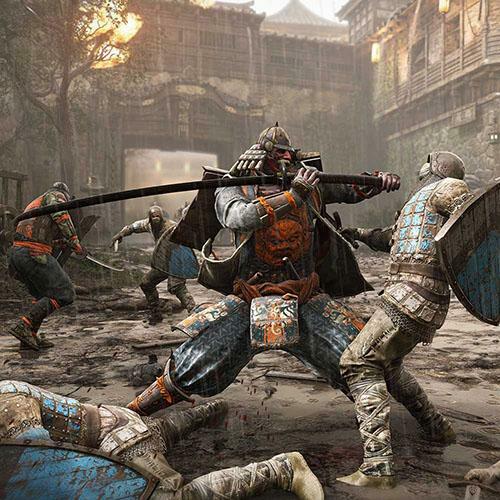 The campaign in For Honor is online co-op, as well as solo. There are three different chapters that you can play: Knights, Vikings, and Samurai, and each chapter has six missions. In each, you play as a few characters from each faction, every character with a different mission. You can play on either easy, normal, or realistic difficulty, each one offering different rewards. If you complete the campaign on realistic, you also receive the rewards that you would get if you completed the campaign on easy and normal. There are 3 game modes: dominion, elimination, and brawl. In these game modes you can either battle against AI or real players. Dominion is a 4v4 battle where two teams face off against each other to capture either of the three flags (A, B, or C) and gain 1000 points. Once a team gains 1000 points, the enemy team begins to break. When the enemy team breaks, they no longer can re-spawn or revive their teammates and they have to either kill their opponents or capture flags to regain their ability to re spawn. Elimination is a regular 4v4 death match with no re-spawns, but you can revive your teammates if they don’t get executed. Brawl is either a one on one or a two on two death match. You can’t re-spawn and you can only get revived if you haven’t been executed. A warden blocks an attack from an enemy samurai. In For Honor, there is a faction war that you can compete in. By choosing one of the three factions, whether its the knights, vikings, or samurais, you’ll be fighting for control of land. After each multiplayer match, you earn war assets based on your skill throughout the match. After the match, you can apply your war assets to help capture territory or defend your territory. The maps you play are actually determined by the territory your faction owns at the time. For participating in the war, round rewards are rewarded every two weeks and season rewards are rewarded every ten weeks.